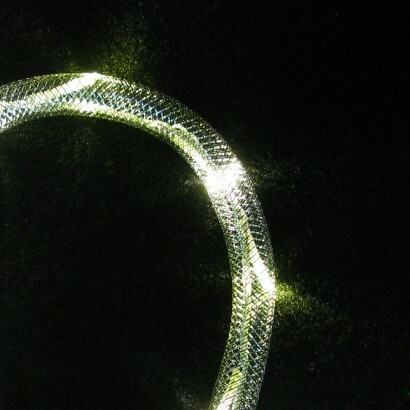 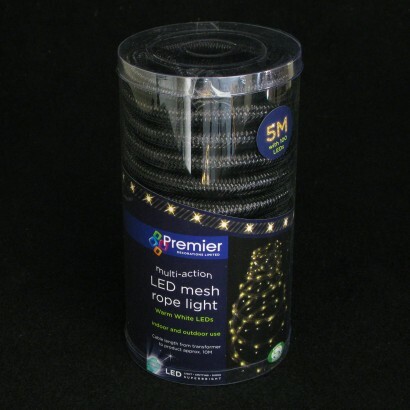 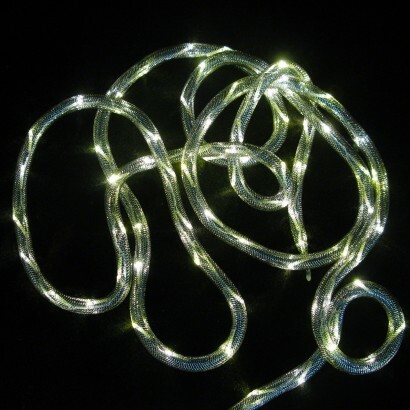 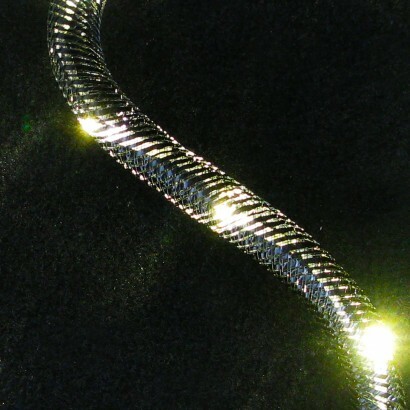 Give your lighting displays a rich warm sparkle with Mesh LED Rope Light. 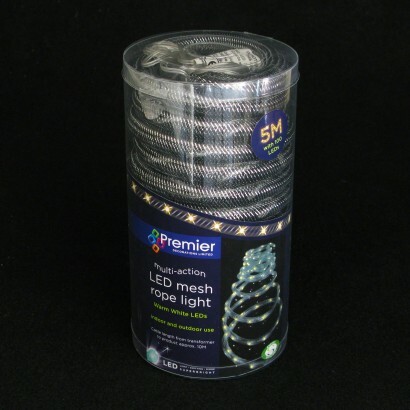 More luxurious than your average rope light, mesh rope light is made up of robust mesh that's packed with 100 warm white LED's. 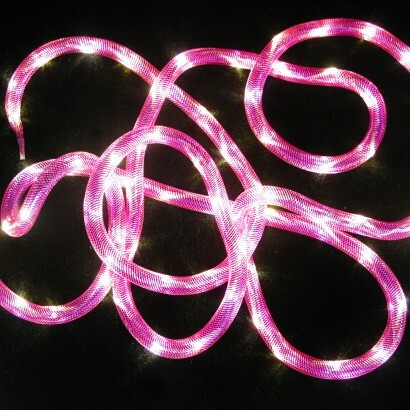 Available in platinum, hot pink or black and at 5m long, there's enough light to trim fencing, patios and gazebos or use it indoors for festive or party lighting. 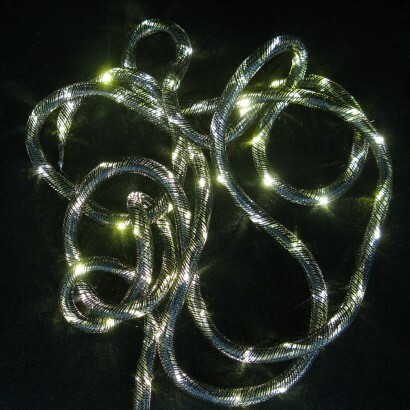 Suitable for use indoors or outdoors, there's 10m of cable from the transformer which must be placed inside or in a protected socket outdoors. 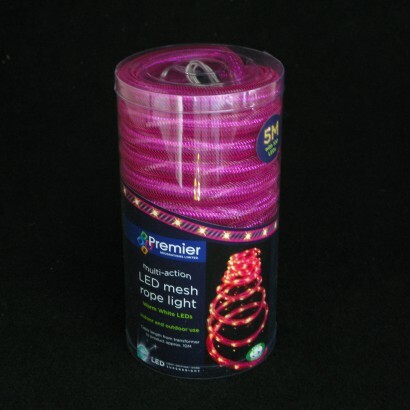 Complete with eight cool modes, colourful mesh LED rope light is guaranteed to be a big hit at your party!